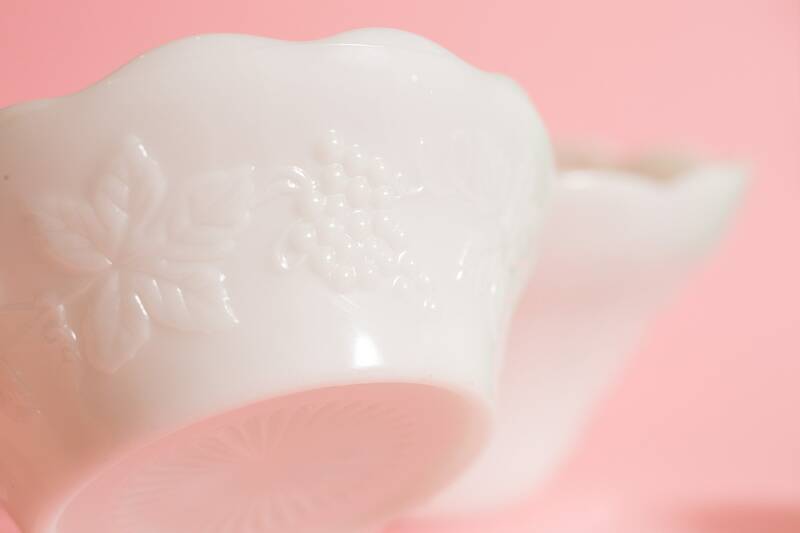 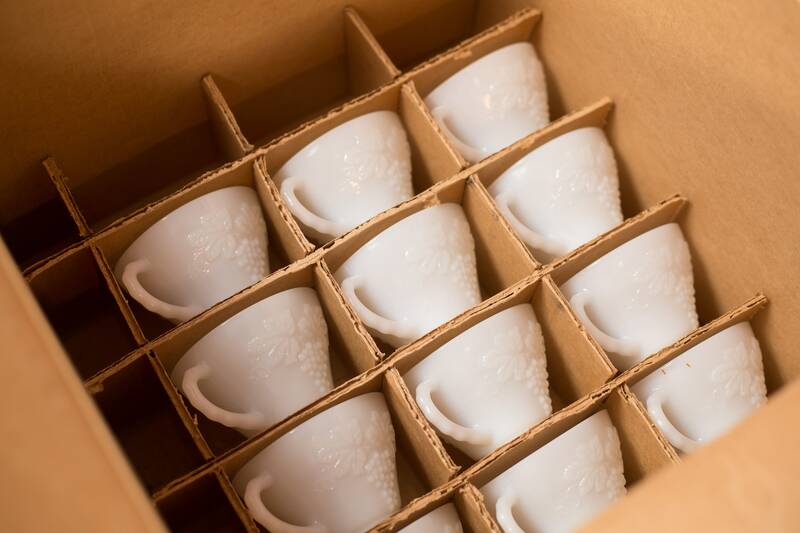 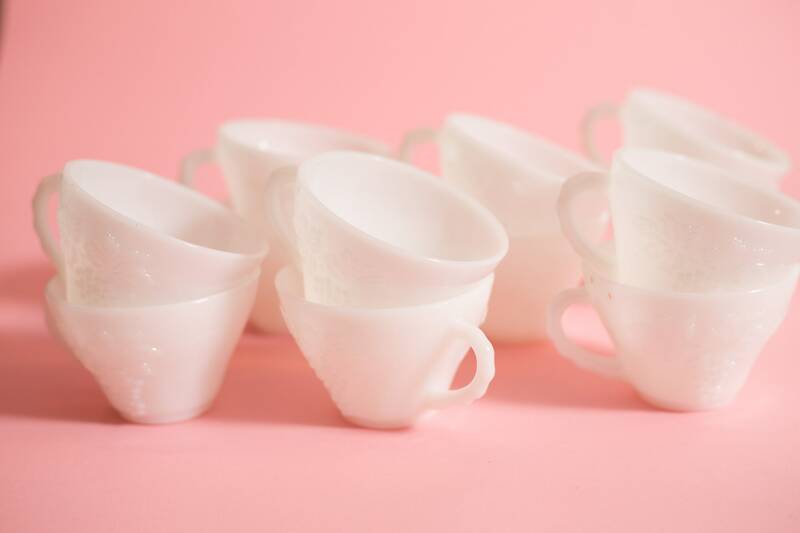 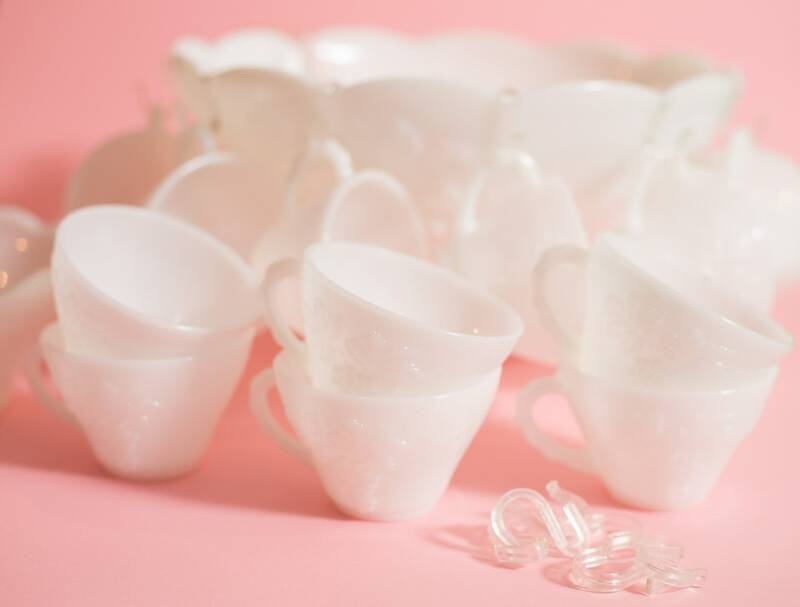 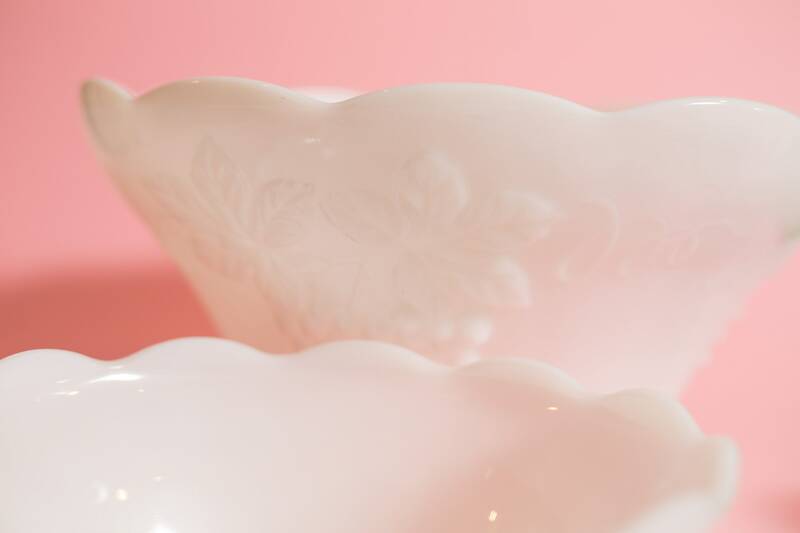 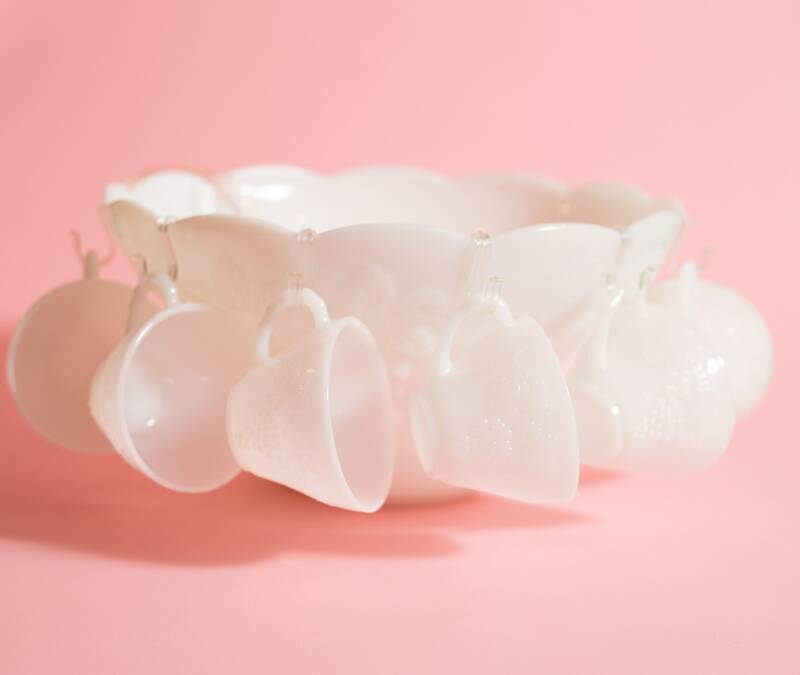 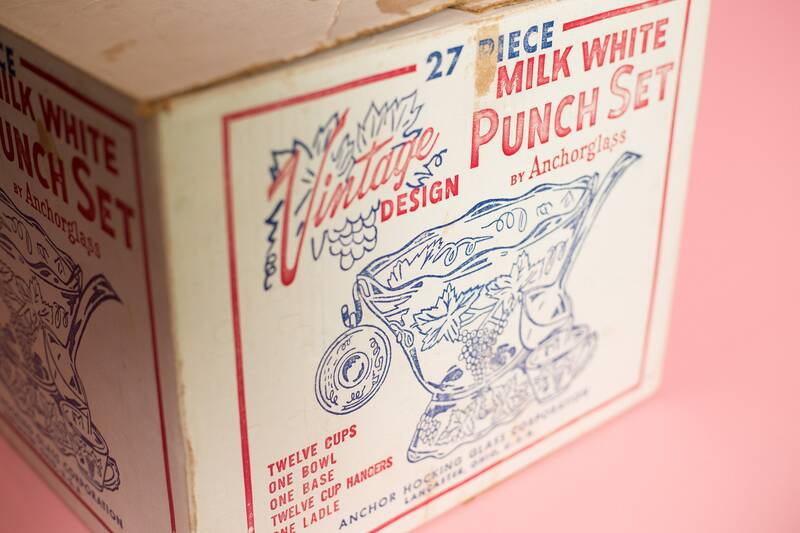 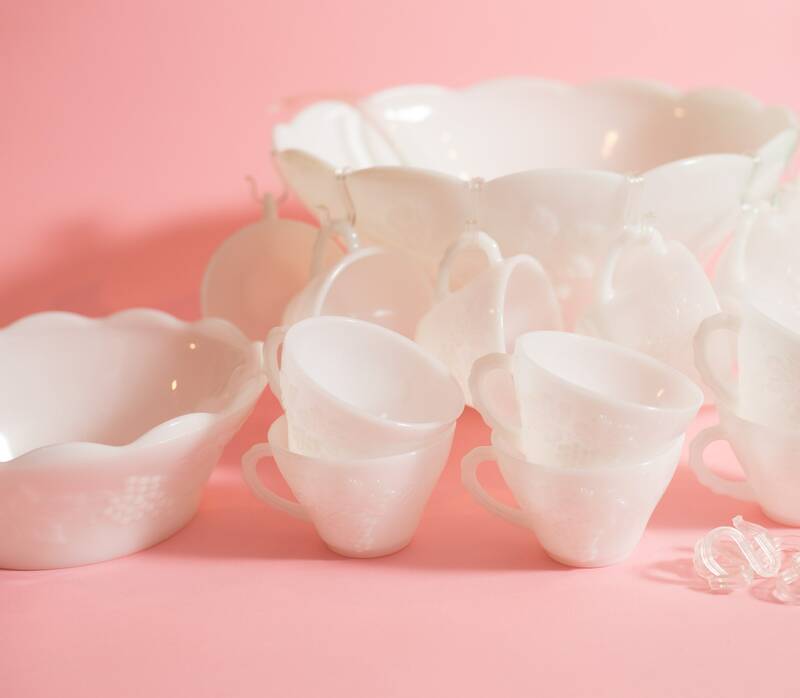 This vintage milk glass punchbowl set is cheerfully wonderful and makes a great gift for that special friend. 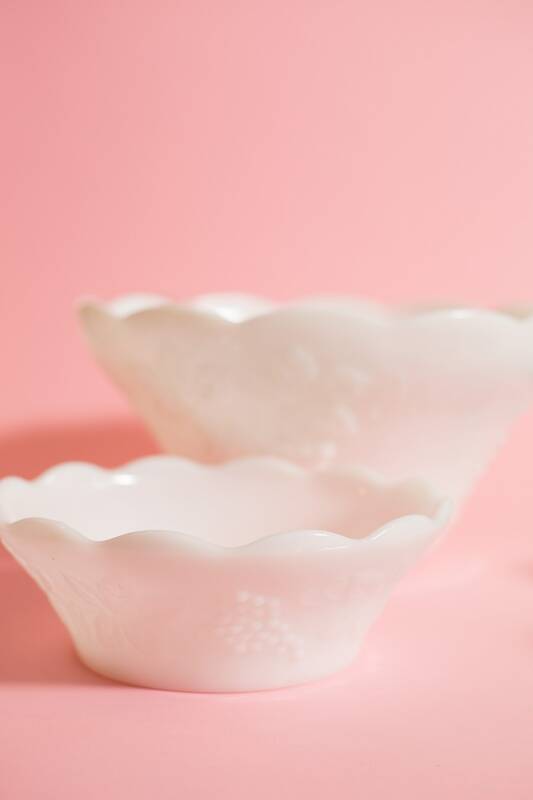 It also makes a beautiful wedding or dinner party table centrepieces. 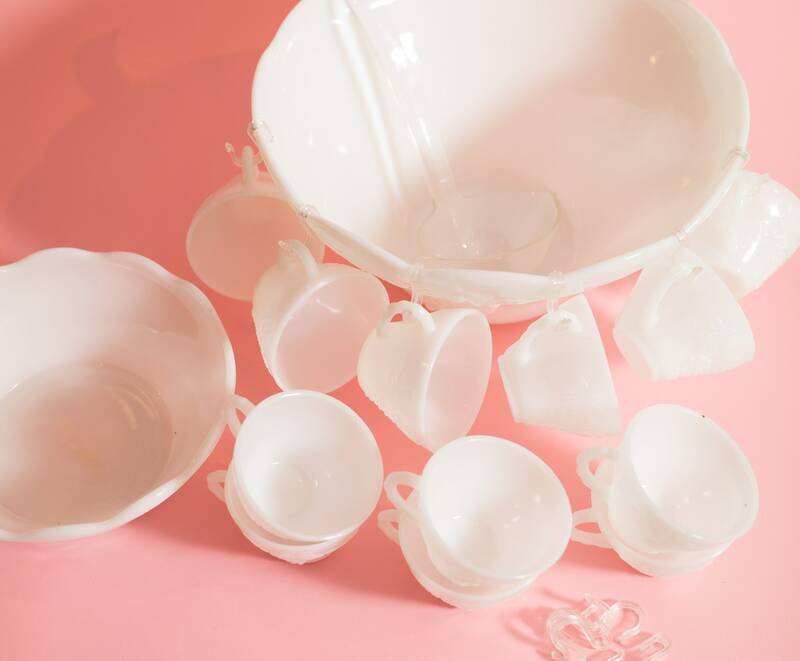 It is the complete set with the punch bowl, base bowl (can also be used as a snack bowl), 12 cups and 12 hooks for hanging the cups from the large bowl.